Commercial building with 4000 sq foot of heated area. Currently being operated as Clickers Bar & Restaurant LLC. Building sold with no personal property, you decide what your dream is to operate at this property. New roof 2018, large parking area to front on Dallas Street. Lots of options. Or Seller is willing to hold Contract for Deed for a Buyer if they would want to Buy just building or Operate as current business. Bring your ideas! 1 ACRE PARCEL WITH PERFECTLY SANDY BEACH A WOODED LOT, SUCH A RARE FIND ON THE CHIPPEWA FLOWAGE AND IT COULD BE YOURS. CHOOSE TO BUILD OR USE AS A CAMP SITE. OFFERING A GENTLE SLOPE TO SANDY BEACH, MATURE TREES AND GREAT POTENTIAL HERE FOR YOU. CLOSE TO EVERYTHING. COME KAYAK, CANOE, BOAT OR SWIM AT YOUR LEISURE. SUMMER FUN OR WINTER HIDEAWAY YOU CAN CHOSE, BRING YOUR PLANS AND TAKE A LOOK AT THIS GREAT PARCEL. Opportunity awaits you at this downtown location. Currently being remodeled by tenant. Structured to have an apartment in rear of building with in-floor heating. Warehouse space or what you have in mind with a bathroom, other half is a bar area with two bathrooms, banquet room or apartment with bathroom. Come look into this opportunity. Many updates and improvements during 2017. SMALL 1940'S HOME WITH LARGE ADDITION ADDED IN 2002, NEEDS SOME TLC, BUT WHAT A FIND. HUGE LIVING RM/WOOD BURNING FIREPLACE, FORMAL DINING RM, TRAY & VAULTED CEILINGS, MASTER SUITE/BATH & WALKIN CLOSET, RADIANT HEAT, 2 MAIN FLOOR BEDROOMS.KITCHEN HAS 1950'S RETRO METAL CABINETS OR REMODEL WITH YOUR IDEAS.LARGE LAUNDRY RM ON MAIN FLOOR. 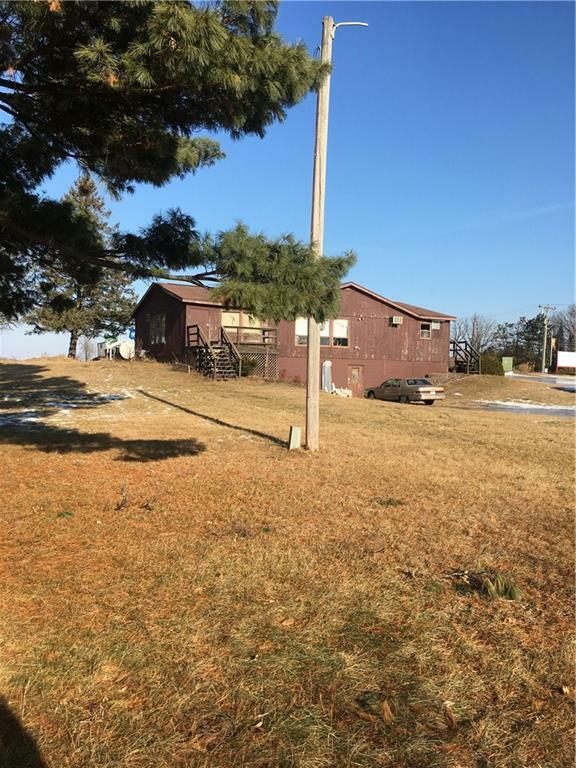 LARGE YARD WITH ROOM FOR POLE SHED OR LARGE NEW GARAGE. CONVENTIONAL SEPTIC, SANDPOINT WELL IN BASEMENT/NEW WELL PUMP. YARD HAS 3 SHEDS THAT COULD BE REFURBISHED.